Guinea-Bissau has become the 74th UN Member state to recognize the independence of Republic of Kosovo. The news has been confirmed by the Ministry of Foreign Affairs of Republic of Kosovo. We thank the people of Guinea-Bissau wholeheartedly for their recognition and friendship. According to the Ministry of Foreign Affairs of Republic of Kosovo, Qatar has recognized the independence of Republic of Kosovo. This makes Qatar the 73rd UN Member state to recognize the independence of Kosovo. We thank the Qatari people wholeheartedly for their support and acceptance. The Kosovo Ministry of Foreign Affairs confirmed today that the Pacific island state of Tuvalu, has officially recognized Republic of Kosovo. This makes Tuvalu the 72nd UN Member State to recognize Kosovo. We thank the people of Tuvalu wholeheartedly for extending the hand of friendship and recognizing us as a State and our place in the world. Apply to vote by email! Scan the filled form and the national id, and email them to KQZ at ovpp@kqz-ks.org (The form can be downloaded here) — The deadline is on November 16th (Tuesday) !!! Rgjistrohuni pÃ«r votim pÃ«rmes email-it! Skenoni formularin e mbushur dhe letÃ«rnjoftimin, dhe pastaj dÃ«rgoni nÃ« KQZ nÃ« ovpp@kqz-ks.org (formularin mund t’a shkarkoni kÃ«tu) — 16 NÃ«ntori (E Marte) Ã«shtÃ« afati i fundit!!! Glasajte putem e-maila! Skenirajte popunjen formular i licnu kartu i posalite na ovpp@kqz-ks.org. Formular mozete preuzeti ovde – Rok za prijavu je 16 Novembar (Utorak)!!! 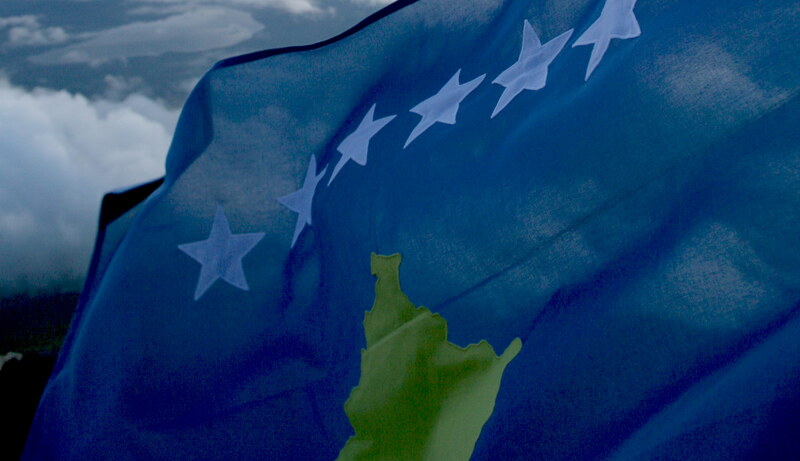 The Kosovo Ministry of Foreign Affairs confirmed today that the Pacific island Republic of Kiribati, has officially recognized Republic of Kosovo. This makes Kiribati the 71st UN Member State to recognize Kosovo. We thank the people of Kiribati wholeheartedly for extending the hand of friendship and recognizing us as a State and our place in the world. The Ministry of Foreign Affairs of Republic of Kosovo just announced that Honduras has officially recognized Kosovo. Honduras is the 70th UN Member state to recognize Kosovo. Thank you to all the people of Honduras! Dear visitors of the KosovoThanksYou website. We have decided to discontinue the pages on Diplomatic Relations, Passports and Helping with Recognitions. These pages and related information will not be maintained anymore. We urge you to contact the Ministry of Foreign Affairs of Republic of Kosovo with requests related to the use of the Kosovar passport abroad and any related visa requirements. We believe that information related to diplomatic relations, passport use and helping with recognitions should be disseminated by the Republic of Kosovo authorities as this insures the information is official and cited correctly. The International Court of Justice (ICJ) has ruled that Kosovo’s Declaration of Independence of February 17th 2008, did not violate the international law. Congrats to all. And a big thanks to all friends around the world. On this day, 2 years ago, Kosovo became an independent state. Since the 1st anniversary of Kosovar independence, another 11 UN member states have recognized the youngest European country. We would like to wholeheartedly thank Maldives, Palau, Gambia, Saudi Arabia, Comoros, Bahrain, Jordan, Dominican Republic, New Zealand, Malawi and Mauritania for extending their recognition and friendship to our people. We greatly appreciate it, value it and need it. 2010 is a crucial year for Kosovo. Besides the International Court of Justice case, this year will also see many challenges for our country in terms of European integration and economic development. We hope and wish things will continue to go our way as they have in the past 2 years. We would like to thank all our supporters around the world for everything they have given us. May peace and light prevail. The Ministry of Foreign Affairs of Republic of Kosovo today announced that Republic of Malawi has decided to recognize Kosovo. Malawi has made this announcement via the United Nations mission in New York. Malawi has extended its recognition by stating that it will forge further ties with Kosovo in the near future. Malawi becomes the 64th UN member state to recognize Kosovo. We thank wholeheartedly the people of Malawi for their support and recognition.